HÄUSER is staging the competition for the HÄUSER AWARD 2016 in cooperation with the Association of German Architects (Bund Deutscher Architekten – BDA), the Association of Private Developers (Verbund Privater Bauherren e.V. 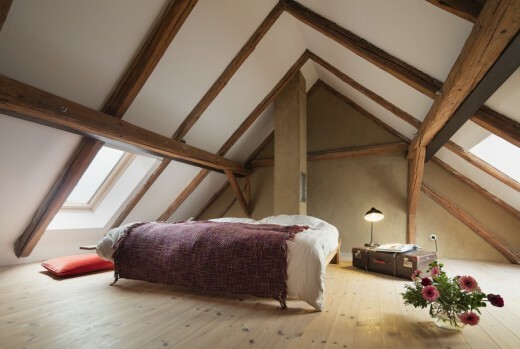 – VPB), Jung and the wood flooring specialist Parkett Dietrich. The jury has awarded prize money totalling 15,000 euros. A further 1,000 euros have been awarded by the VPB to the developers of each of the winning properties. 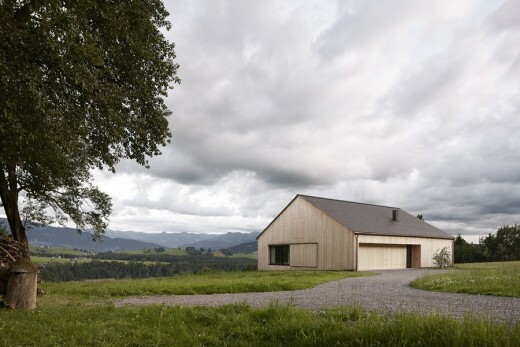 The project involved replacing a derelict Bregenzerwald-style farmhouse by a new building; architect Bernardo Bader has done a marvellous job of retaining the traditional rustic design that is characteristic of the Vorarlberg region. This approach made the property a clear winner in the eyes of the HÄUSER AWARD jury. 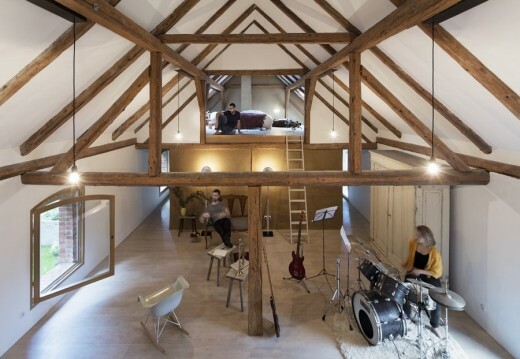 The timber-clad house is situated on the edge of the village of Doren and combines all the usual farmhouse amenities beneath a colossal gable roof. 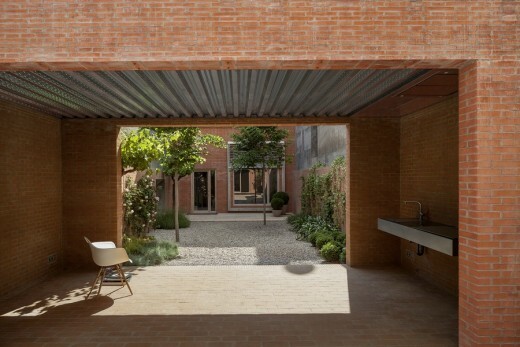 Even the garage is unobtrusively integrated into the overall design and directly linked to the partial basement. 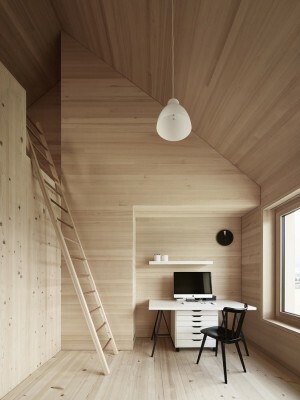 The loft provides space for storage as well as a woodwork studio. Adjoining the garage are the living quarters, spread over a total area of 150 square metres. The interior is a delightful eclectic mix of exposed concrete walls and ceilings, reclaimed wood strip flooring from the original building, and new timber doors, window frames and built-in furniture. Featuring huge floor-to-ceiling windows on each side, the building is in perfect harmony with its surroundings and offers stunning panoramic views of the mountains. Two properties came in joint second place this year. One of the runners-up was Haus Stein in Druxberge near Magdeburg (Germany). 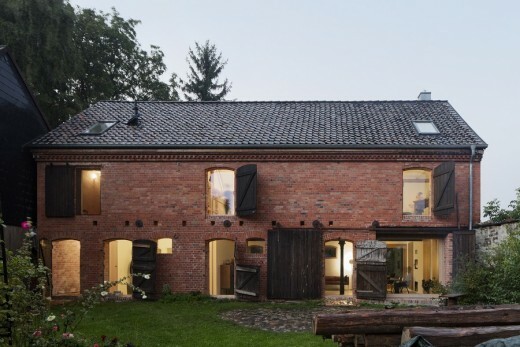 Architect Jan Rösler has adopted a very sympathetic approach to converting this former barn into a holiday home. 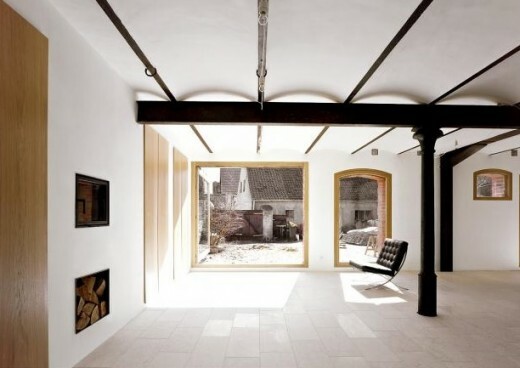 He has succeeded in retaining the original character of the rural building, which dates back to the 1930s. Reclaimed tiles have been used for re-roofing the property, and the original gateways have been converted into large-format windows which flood the living and kitchen areas with light. The open-plan layout has been designed with temporary holiday accommodation in mind. 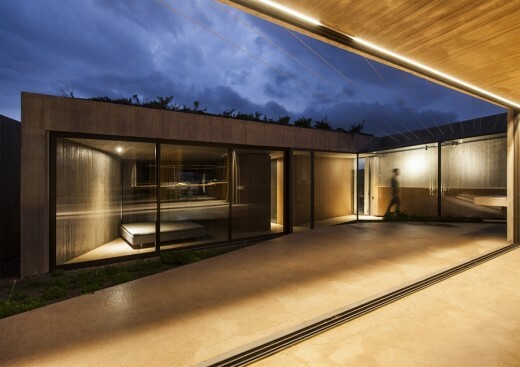 Joint runner-up was the architectural firm Harquitectes for Casa 1014 near Barcelona (Spain). 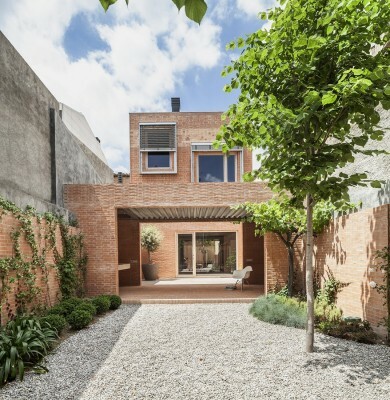 The attractive family home in Granollers near Barcelona consists of two buildings – one at each end of a long urban plot – separated by courtyards. An inner quadrangle featuring high red-brick walls links the various different zones, creating a harmonious ensemble. 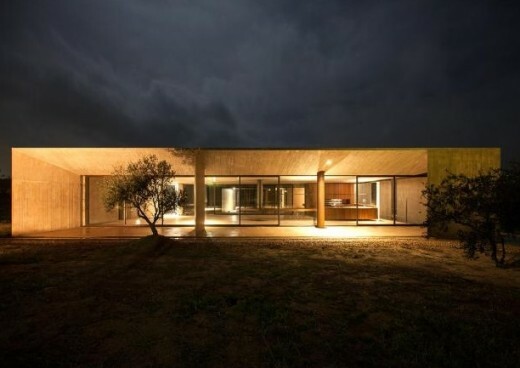 Just outside Athens, Tense Architecture Network has built a rural retreat out of concrete and glass. 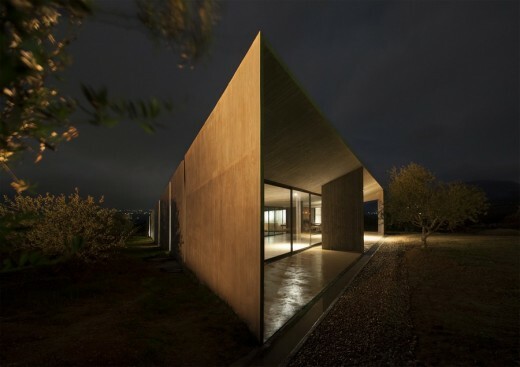 Situated in an isolated position in the Megara plain, this triangular residence has an austere, minimalistic, and rigidly geometric look about it. 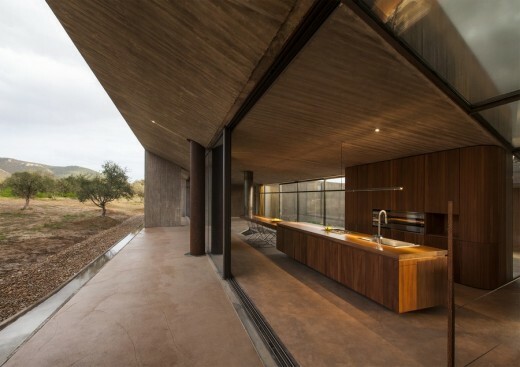 The building is enclosed on two sides by glazed concrete walls in a reddish brown colour, which offer shelter while making the house blend in with its earthy setting. The surrounding landscape can be viewed through openings in the walls, which are fitted with light strips to illuminate the façade at night. On the north side of the building, floor-to-ceiling windows offer spectacular views of the nearby Gerania Mountains. The inner quadrangle separates the living and sleeping quarters. 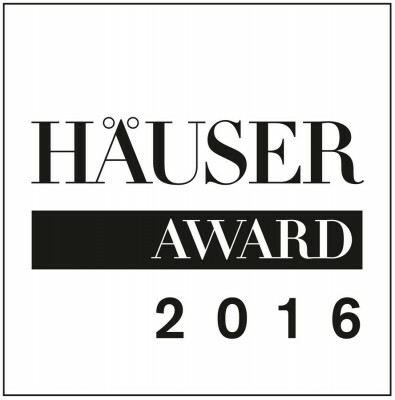 This year once again, an interior design project has also received an award for excellence from HÄUSER. 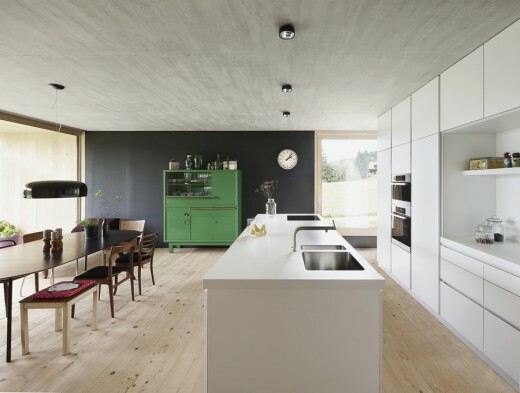 In cooperation with Parkett Dietrich, HÄUSER is awarding the Interior Design Prize worth 2,000 euros to Innauer Matt Architekten for Julia and Björn’s house in Egg (Austria). 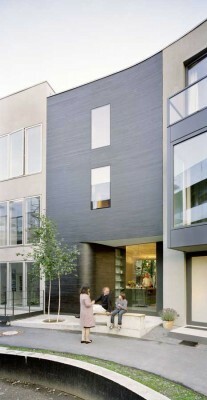 Like the façade, the interior is largely dominated by regionally sourced timber. 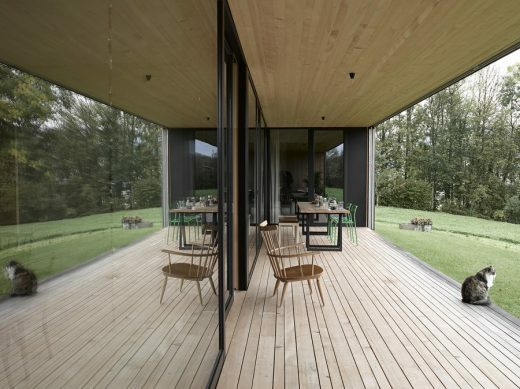 It features wood strip flooring made from spruce harvested in the owners’ private woods. 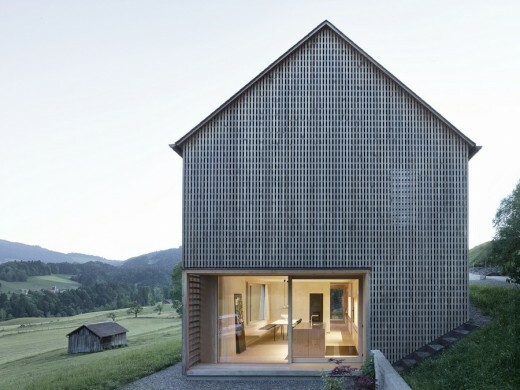 The walls are clad with silver fir, a traditional building material from the Vorarlberg region. 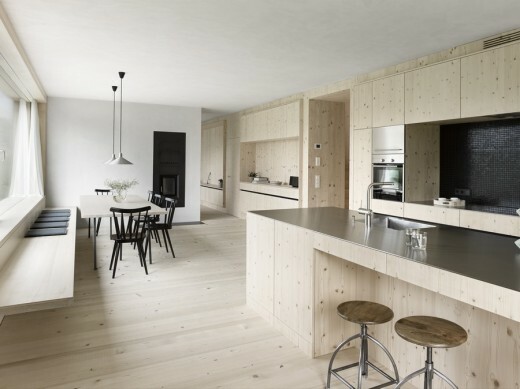 The built-in cupboards, kitchen units and dining table have been custom made from knotted spruce; the marble powder finish on the walls adds light-coloured accents. This year’s HÄUSER AWARD winners were honoured at the award ceremony which took place on 15 February 2016 at the Chamäleon Theater in Berlin as part of the architecture conference “Jung Architekturgespräche”. Architect Bernardo Bader gave a fascinating talk about his award-winning property in Doren to an audience of over 150. The book entitled “Award-winning family homes” is a compendium showcasing the 20 best properties entered for the HÄUSER AWARD 2016 – with the help of high-quality photos, floor plans and succinct texts. Author: Bettina Hintze, 192 pages, ISBN: 978-3-421-04010-7. The book costs 49.99 euros and is published by DVA, Munich. HÄUSER is the high-class magazine for international architecture, design and sophisticated living. With its keen instinct for the latest developments and trends, it has enjoyed a high reputation in the architectural and design scene for over 35 years. The magazine focuses on family homes, conversions and renovations – all of a first-class standard. 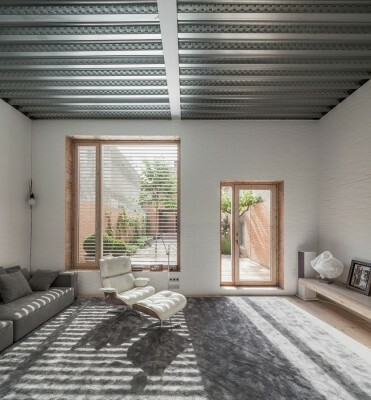 HÄUSER provides its readers with stunning images of property interiors and exteriors along with detailed information about materials, construction methods and architectural plans. The magazine also includes portraits of the major players in the building and design scene, the latest trends in furniture design, and reports on travel destinations of architectural interest. 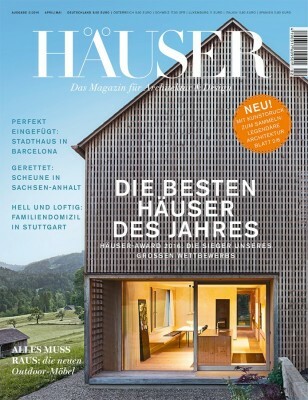 Since 2004, the magazine has been issuing the prestigious HÄUSER AWARD for innovative and futuristic family homes. 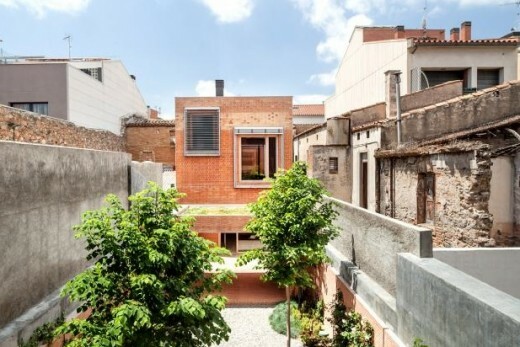 Hundreds of architects from across Europe have entered the competition in past years. Today, this accolade is considered the most important annual architectural award of its kind.